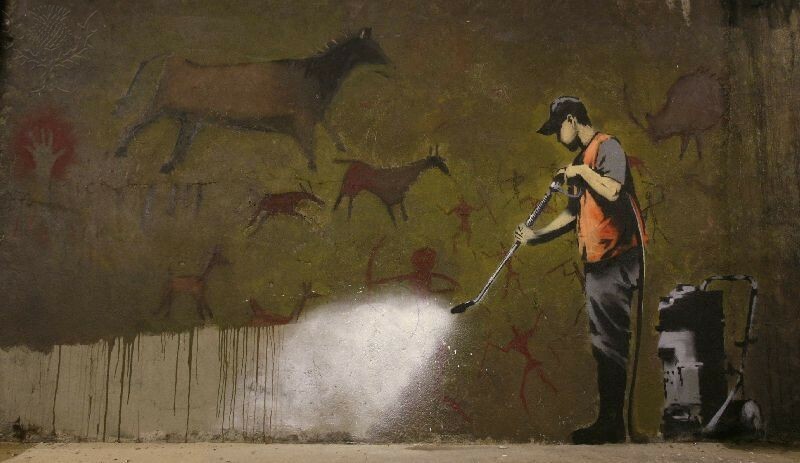 Humans' foray into artistic expression goes back some 30,000 years. ImageQuest traverses the last 250 with a look at the quirky, the disruptive and the downright bizarre - 6 important artists and the masterpieces that both challenged and defined the art of their times. For 250 years Britannica has been the definitive storyteller. Throughout the generations, we've been documenting human potential through every discovery and innovation. To celebrate Britannica's 250th anniversary, ImageQuest sets out to trace the game-changing people, events and discoveries from the last quarter millennium. The following photos and illustrations are a small sample from the ImageQuest collection. Get access to the full collection plus millions of other rights-cleared educational images with a school-wide school-wide ImageQuest subscription. 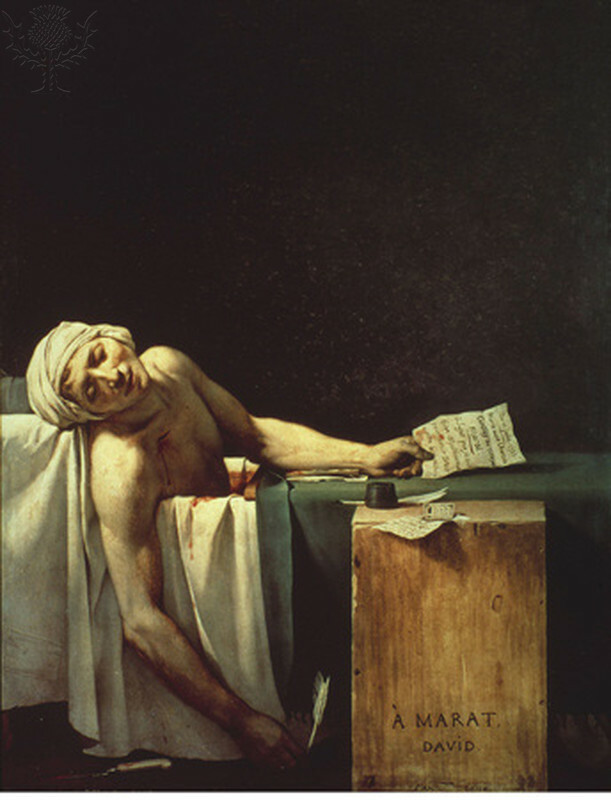 The Death of Marat was painted in 1793, shortly after the murder of the revolutionary leader Jean-Paul Marat by Charlotte Corday. This “pietà of the Revolution,” as it has been called, is generally considered Jacques-Louis David’s masterpiece and an example of how, under the pressure of genuine emotion, Neoclassicism could turn into tragic Realism. The emergence of print media greatly improved the accessibility of art during the 19th century. With new found influence over a much wider audience, artists began to focus on more accurate and detailed depictions of life and its problems. This art movement is known as Realism. Realism does not mean that art must be photographic: a painting of an individual showing true character can be more realistic than a photograph. 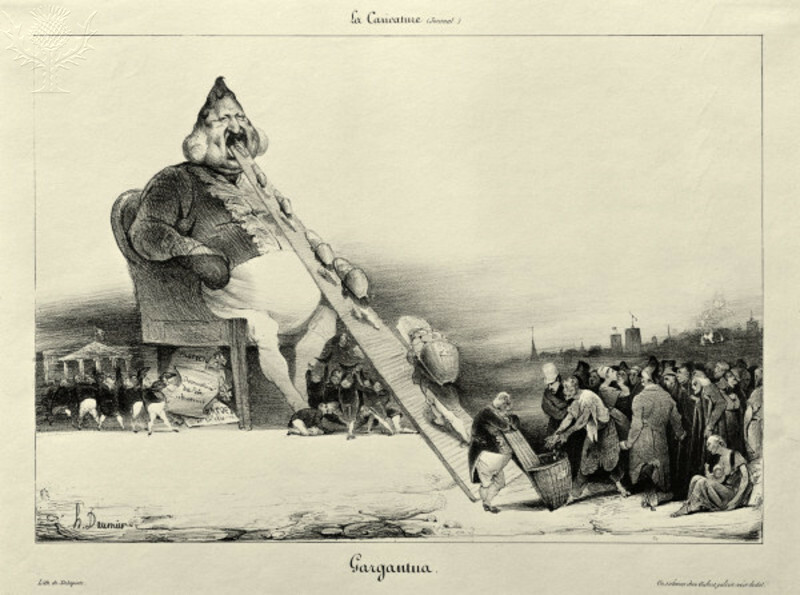 This lithograph by Honoré Daumier, despite grossly exaggerating the proportions of the King and the people, is nonetheless considered an important work in Realism due to its realistic commentary on the imbalance of power, wealth and waste between the ruling and working classes of the time. During the late 19th century, a group of young painters rejected the rigid formula that artists of their time were required to follow. Instead of the conventional idealised treatment of subjects in academic painting, they shifted their focus to accurately recording the transient effects of light and colour on a particular scene. They held their first exhibition in 1874. 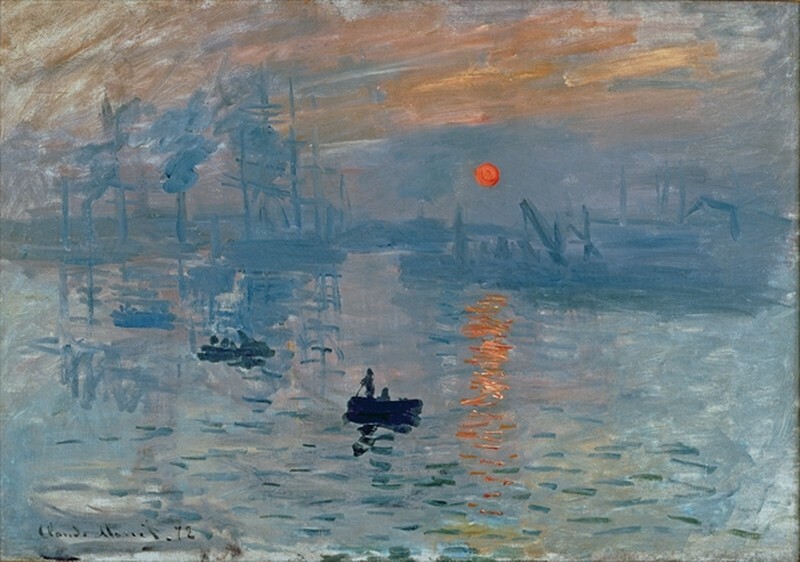 There, Claude Monet’s painting "Impression: Sunrise" led cynical critics to label the group derisively as the "Impressionists". Advocating radical new techniques, aesthetics and subject matter, the French "Impressionist" movement would go on to usher in a break from classical artistic traditions and lead to the founding of modern art. Vincent van Gogh is one of the greatest Post-Impressionist artists. 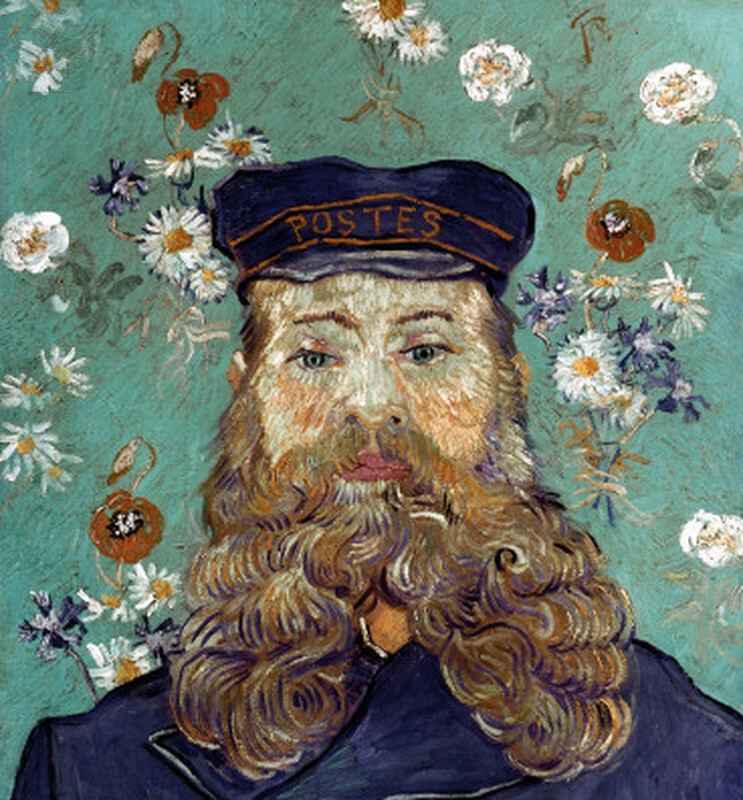 The striking use of colour, emphatic brushwork and contoured forms that became van Gogh's personal idiom can be clearly seen in this portrait of his friend, Roulin the postman. A seminal figure, van Gogh's tendency to inject his personal feelings about the subject into his work and expressed through the heightened use of colour and form was a powerful influence on the current of Expressionism in modern art. 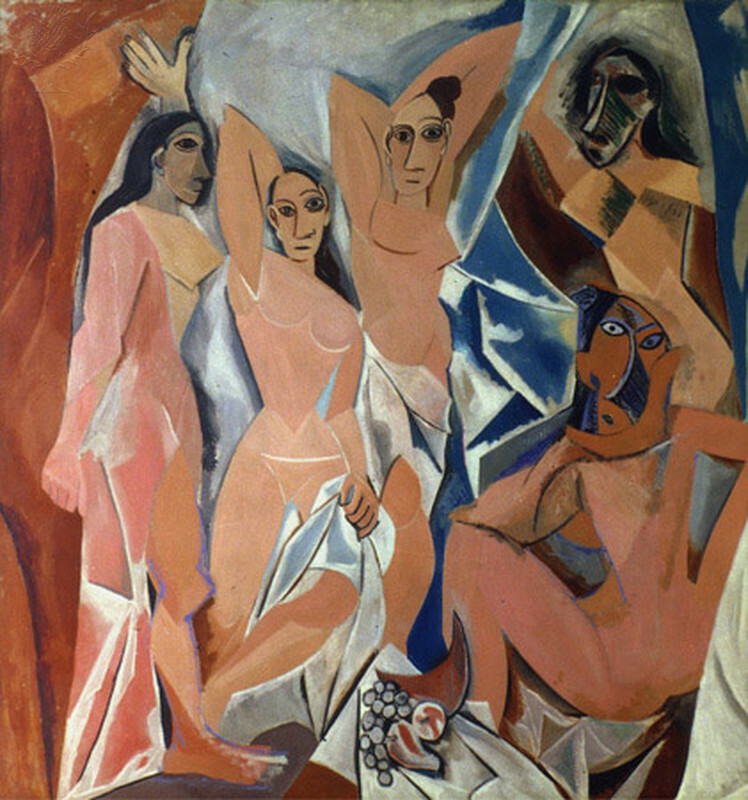 Les Demoiselles d’Avignon shows the influence of Picasso's fascination with primitive art and carvings, especially those of African origin. The painting represents a major turning point in art because it opened the door to the highly influential cubism and the later abstract movement. 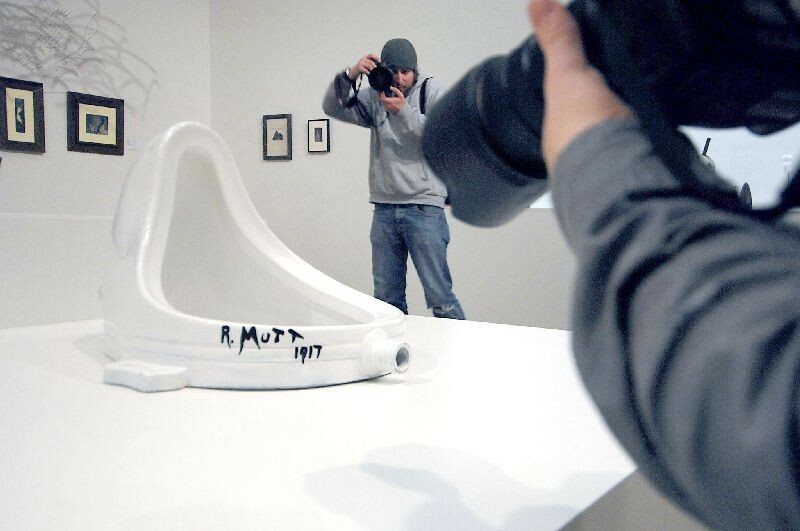 "Fountain", a procelain urinal signed "R.Mutt" by the artist, is one of the most iconic examples of what Marcel Duchamp called "ready-mades": everyday objects designated as art. He used these ordinary, mass-produced items to rebuke the idea of art being a beautiful, original, hand-crafted object. With this, Duchamp redefined art as not just optical but an intellectual process; the expression of an idea or concept beyond its visual form.